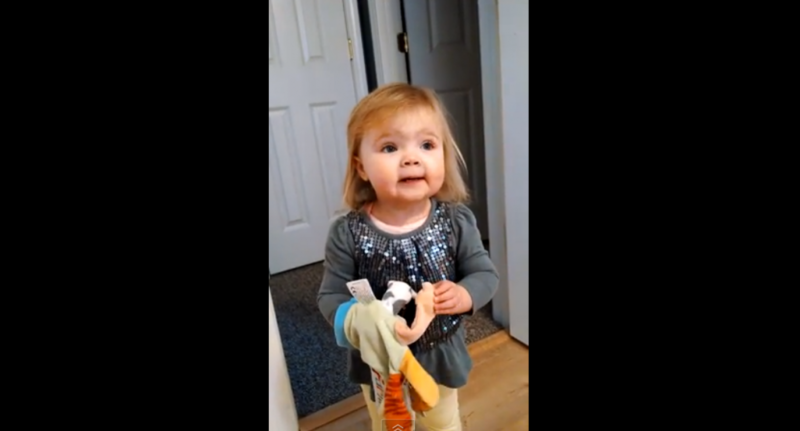 Two-year-old Josie sings her version of the classic song “Old MacDonald Had a Farm” in the most adorable way. Just look at that face. Precious.